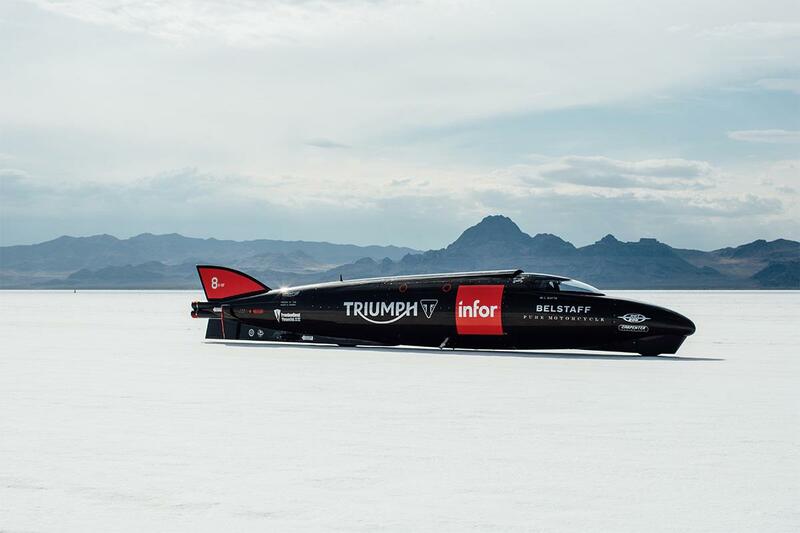 Crew Chief and Triumph Infor Rocket Streamliner designer Matt Markstaller commented: "We achieved a great deal during our test week at Bonneville and feel we are in a great position to move ahead with our record attempt. Guy settled into the streamliner very quickly and impressed us with the speed in which he mastered both the motorcycle and riding on the salt. "While conditions were some of the best I have seen over the last few years, we feel there is still some room for improvement. When chasing a record such as this on two wheels the conditions have to be the very best they can be, to give us the greatest chance of achieving the speeds we require to set a new record. We feel that waiting a few further weeks will provide us with even better conditions and put us in the ideal position to make our record attempt."